Spectacular ocean view from the deck. Point Break Villa beach house includes beautiful breakwater ocean views.. 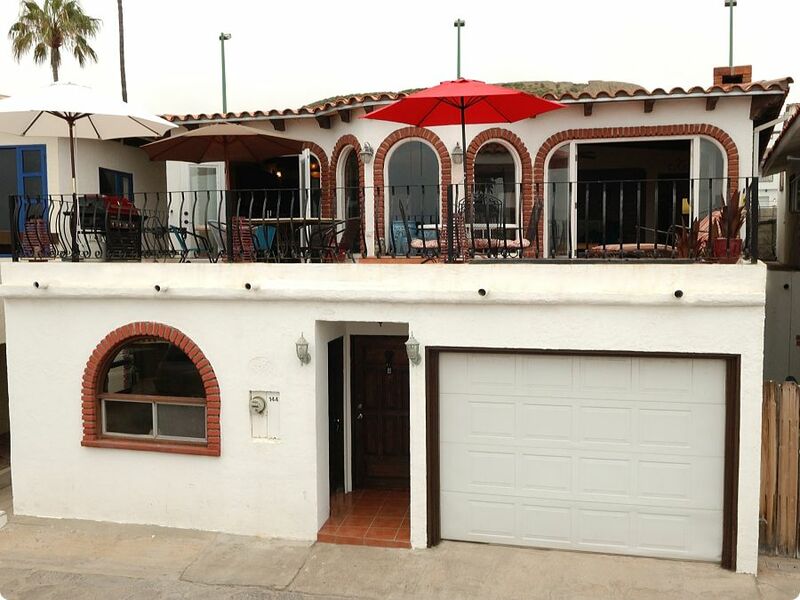 The two-story beach house is fully 2500 square feet with four bedrooms and three bathrooms. It will accommodate eight people comfortably. Bed and bath linens are provided also. All you need to bring is beach towels. The deck has a spectacular ocean view. Barbecue on the deck with the gas grill or relax in the lounge chairs under the umbrella. Gas grill, fireplace, and fully equipped kitchen with fridge, microwave, stove/oven, coffeemaker, toaster, blender and all you’ll need.